A leaked Defra white paper seen by Spoofflé reveals that the Government is planning to locate and map the profiles of every gnome in the UK. 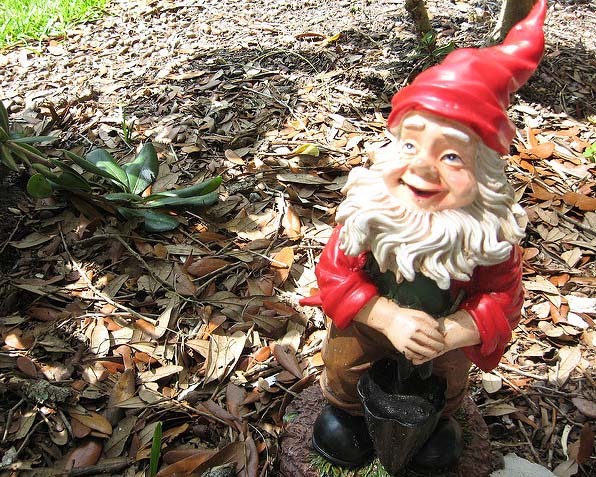 It is estimated that British gardens contain at least 6 million gnomes, the second highest European gnome density per capita after Germany. The 28 page document proposes a fleet of drones which will photograph every UK garden, using AI to scan, recognize and record details of every gnome detected, including their size, possible gender, accessories held such as a fishing rod or a pipe and their overall condition. Not everyone is so enthusiastic about G-Nome mapping. ‘Big Brother Watch’ were quick to voice concerns about data security. Their CEO Barney Crowther told Spoofflé: ‘Look, we’ve seen what happens when Government gets its sticky hands on sensitive information – I mean, look at the debacle over centralised GP patient data a few years back – so why should we trust them now?